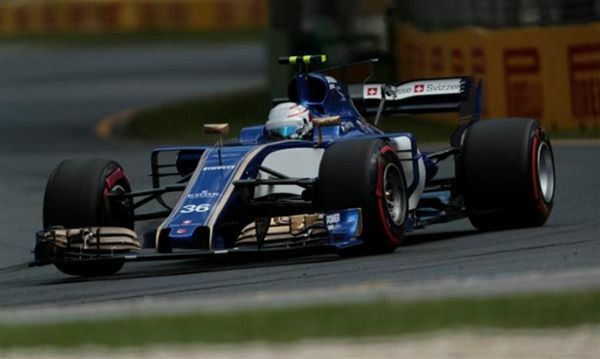 Italian rookie Antonio Giovinazzi will again replace Pascal Wehrlein at Sauber in this weekend's Chinese Grand Prix in Shanghai due to the German's fitness issues, the Swiss-based Formula One team said on Monday. Sauber is hoping Wehrlein, who withdrew from last month's season-opener in Australia, could be back for the third round in Bahrain or Russia after that. Giovinazzi, a Ferrari-backed driver who is the first Italian to race in Formula One since 2011, made an impressive debut in Melbourne when he finished 12th. "For me the most important is that I can train intensively to ensure a 100 percent performance from my side as soon as possible," said Wehrlein, who raced for now-defunct Manor last year and has Mercedes ties. "I will then be well-prepared for my first complete grand prix weekend for the Sauber F1 Team. "Hopefully this can be in Bahrain but, if not, then we will take the time it needs until Russia to make sure I am completely ready." Wehrlein injured his back in a crash at the "Race of Champions" event in Miami in January, and took time off to recover. He tested in Spain in March and was cleared to drive at Albert Park for Ferrari-powered Sauber before pulling out on the Saturday before final practice. "My fitness level is not as it should be for a full race distance because of my training deficit," the 22-year-old said at the time. "Therefore, the Sauber F1 Team has decided not to take any risks. "It is a pity, but the best decision for the team." This year's cars are taking corners much faster due to fatter tires and aerodynamic changes, subjecting the drivers to greater G-forces, and several drivers have worked hard over the winter to add upper body strength. Mercedes team boss Toto Wolff backed Wehrlein to "come back strong." "I feel for Pascal, because he has had all the bad luck," said the Austrian. "I'm impressed with the maturity he has shown to inform Sauber that he wouldn't be able to perform at the level required in Melbourne. "That took courage and selflessness, which I know earned him a lot of credit within the team," Wolff said. "Now, he needs to build up his fitness and come back strong. I have no doubt that when he's back in the car, he'll prove he's still the same Pascal."